Just like on the literal and metaphorical roads of life, different pieces of music have varying speeds that are appropriate. Sometimes we would like to play faster, but if we did the rest of the band would just fall apart. 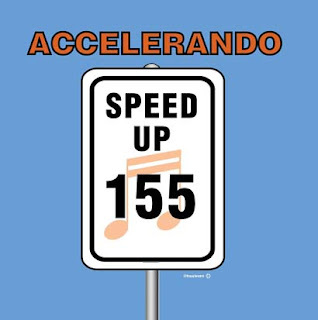 I can't drive fifty-five, but I can play 155bpm, so accelerando!